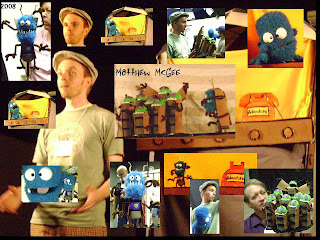 In Jest Puppets: Matt McGee and ZEET! Here are some pictures from a work-in-progress by Matt McGee. His puppets and their story charmed us all!!! Now THAT was a funny show! You had to be there. So glad I was.